1. High-waisted pants *CLAIMED*: I absolutely love the look of these pants. They are so chic for work. Unfortunately, they're too big for me. The pants is unlined. However, the fabric is thick enough so no worries about seeing through. Measurements: waist = 14", length = 45"
2. Color-block bandage dress *CLAIMED*: I thought this dress is made out of the thick heavy bandage material (hence the name) but it's not. The fabric is a light-weight cotton. For $17, I think the quality is OK. The reason I am giving it away because it's a tad too small on me. If you're one size smaller, this dress would fit you better. The quality is nothing to write home about but it should last you a few night outs. 3. 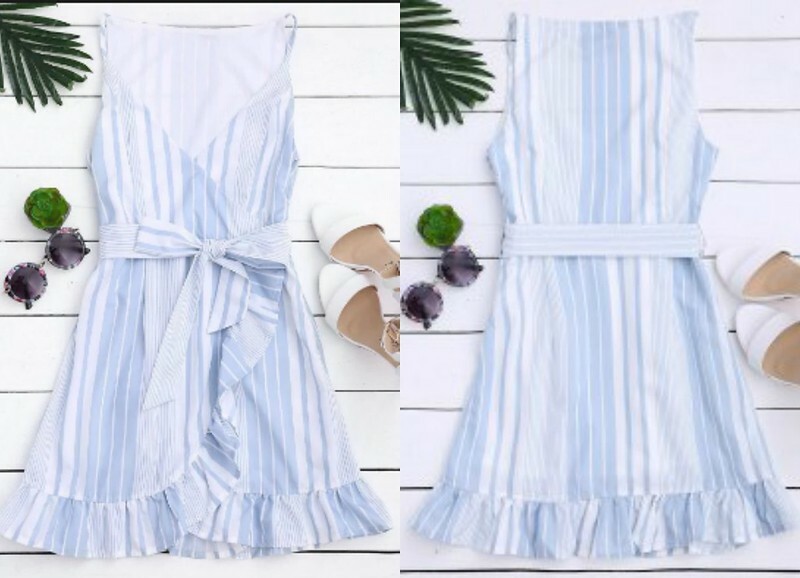 Striped slip dress *CLAIMED*: This dress immediately caught my attention. I love the style and the pattern. However, it's way too small on me. If you're a size smaller, this would look so cute on you. The neckline is quite low so you would need a camisole underneath. The dress is fully lined. 4. Distressed denim skirt *CLAIMED*: I got this skirt a couple of months ago but never had chance to wear it. It's now sold out now but I am giving mine away. The fabric is really nice but it does run big. Measurements: waist = 13.5", length = 16"
5. 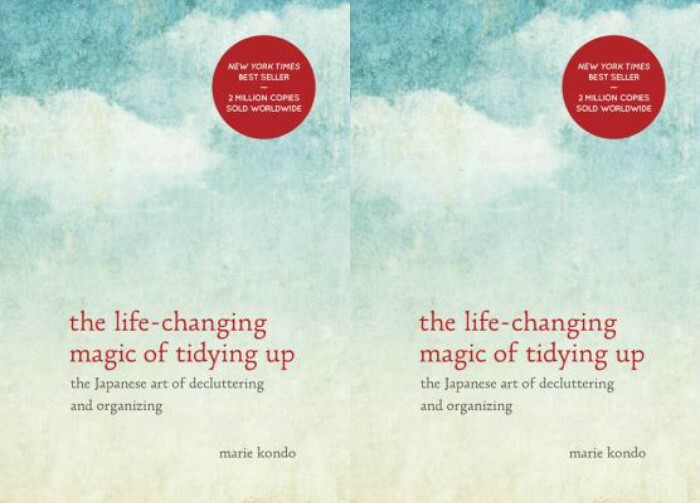 The life-changing magic of tidying up book *CLAIMED*: As someone who enjoy cleaning, I found this book very helpful. I hate clutter and am constantly purging my closet. I already finished the book so I thought I would pass it to someone else. Please send me your mailing address at SydneysFashionDiary@gmail.com and I will mail you the color block dress. Thank you! Thanks for doing this! I've always wondered what bloggers do with all their PR items that don't 'fit'. I'd love the striped slip dress! 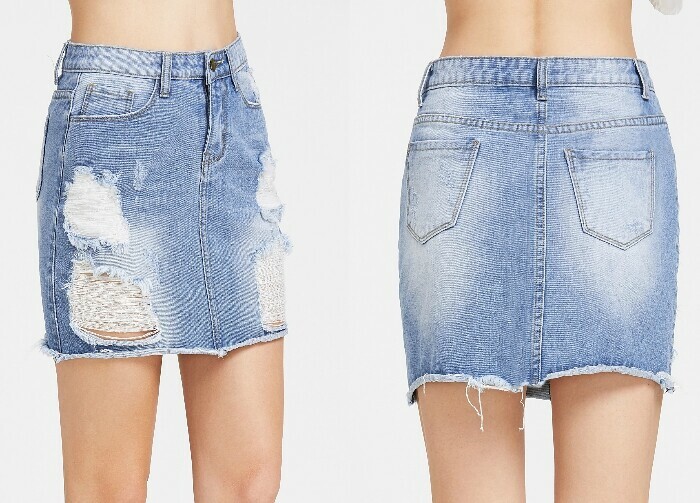 Hi Sydney, I would love the denim skirt!